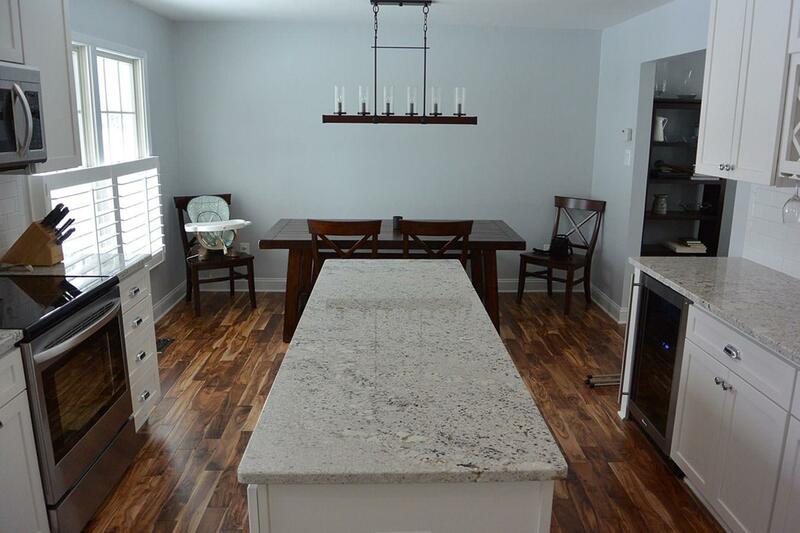 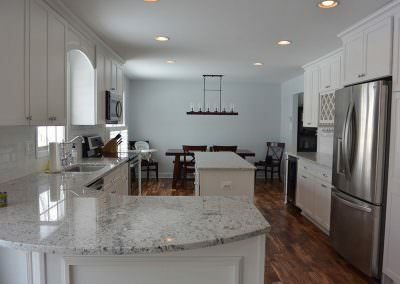 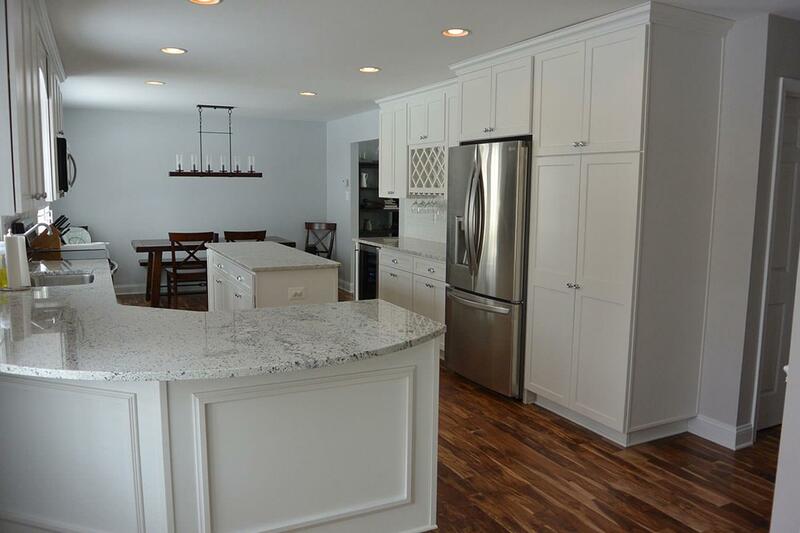 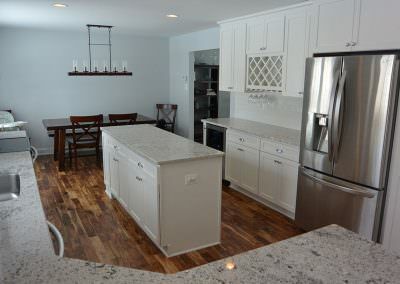 By removing a wall and pantry, the Solstice team was able to create a larger open plan space in this Millersville kitchen design. 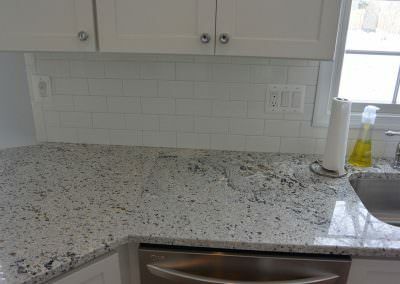 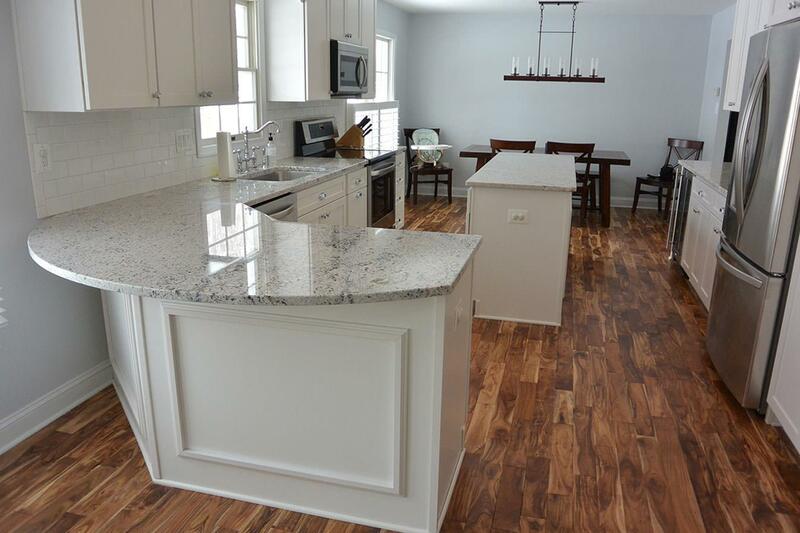 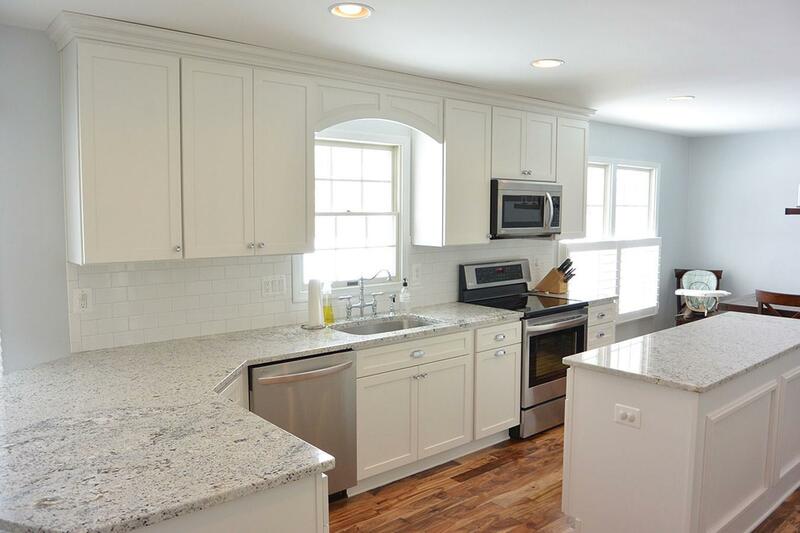 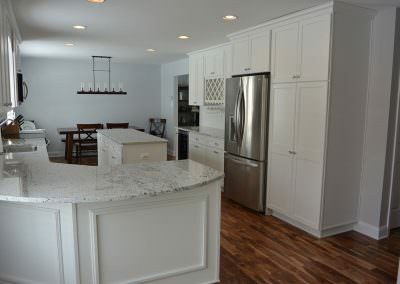 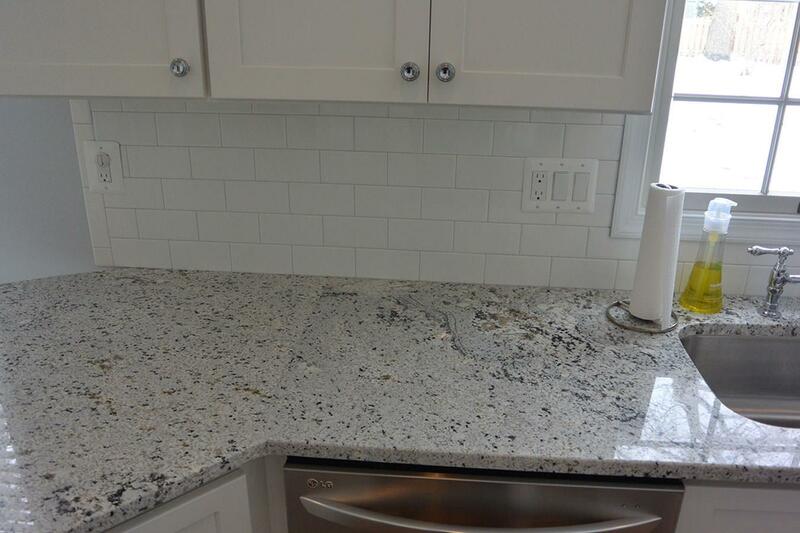 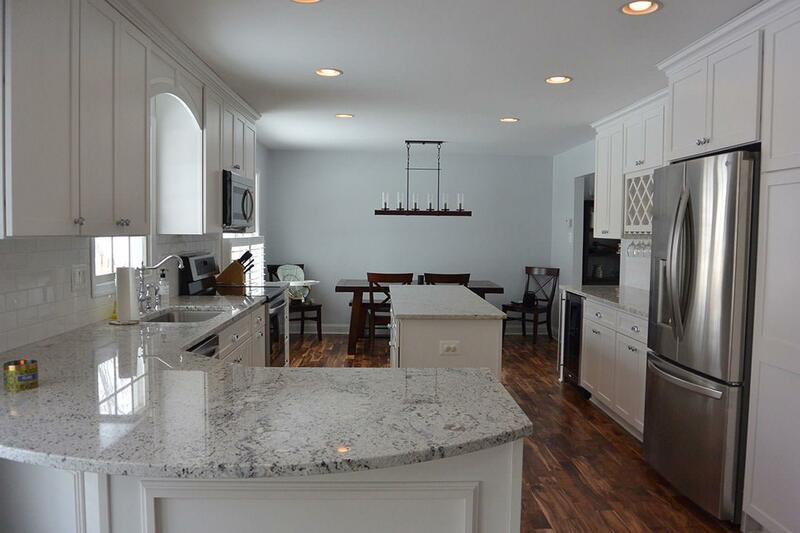 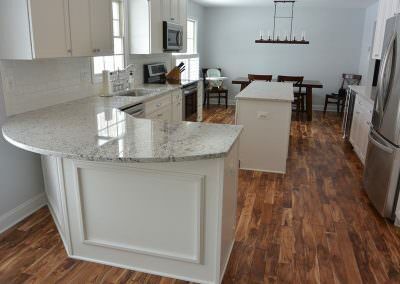 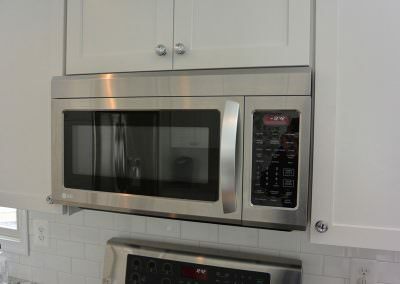 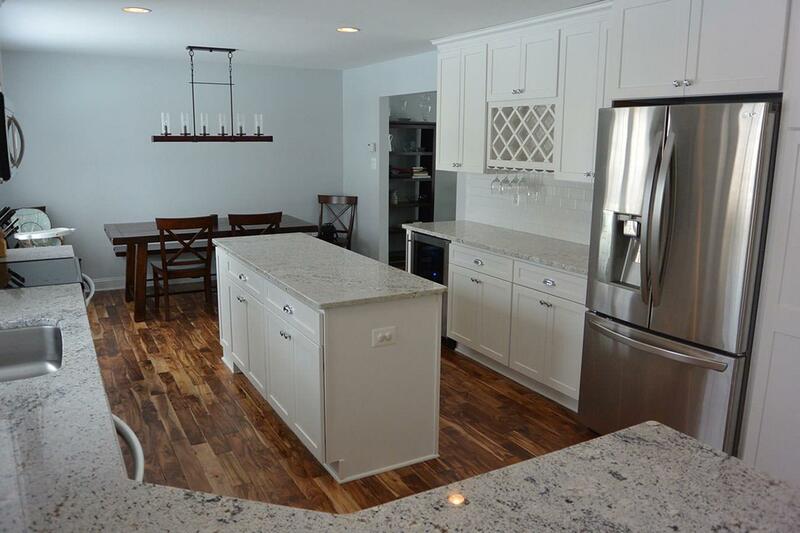 HomeCrest Sedona maple kitchen cabinets in Alpine set the tone for this bright, spacious kitchen, accented by Adino white granite countertops and American Olean white subway tile backsplash. 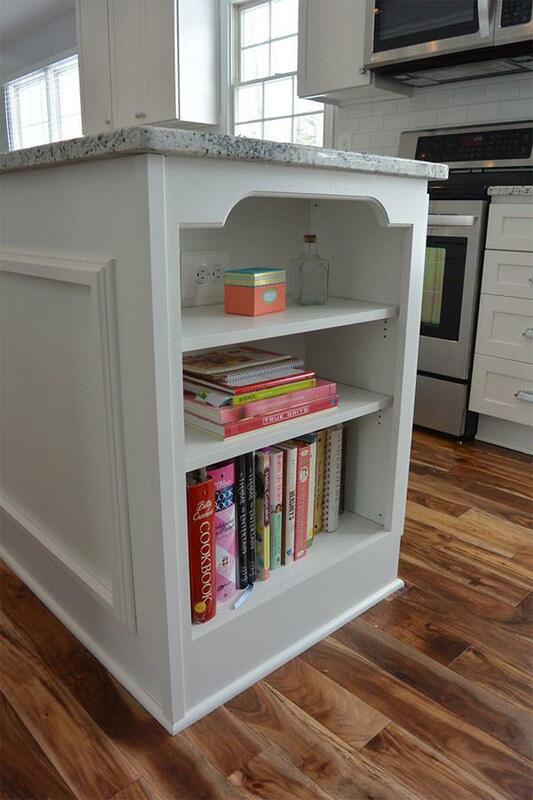 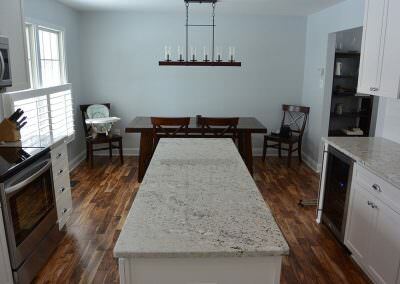 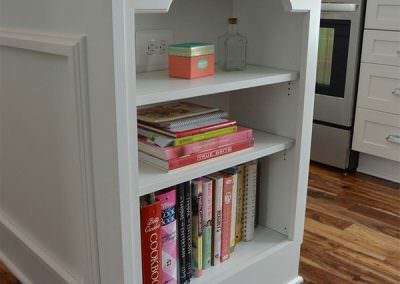 The kitchen island includes a bookcase at one end, perfect for ready access to cookbooks. 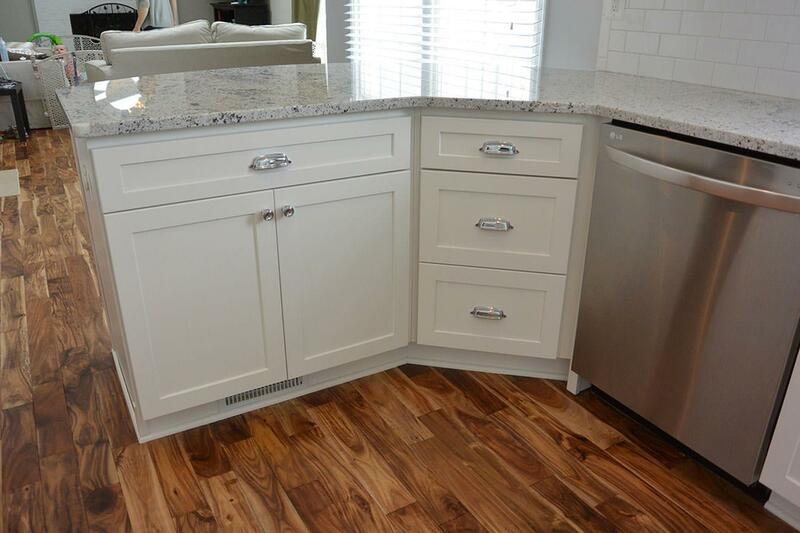 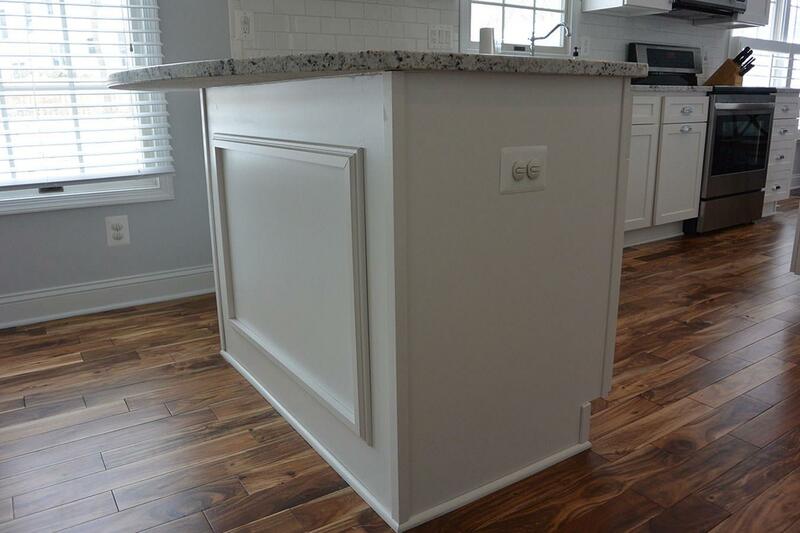 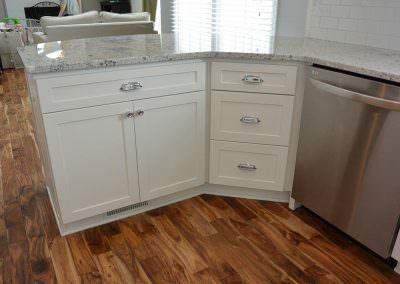 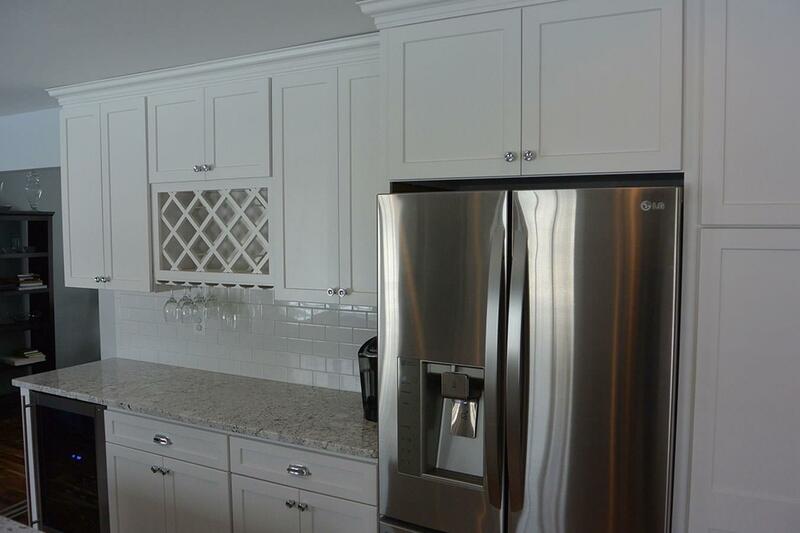 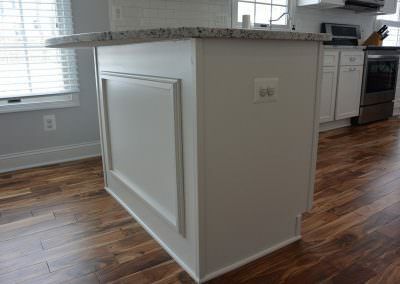 The perimeter cabinetry extends into a peninsula with decorative paneling. 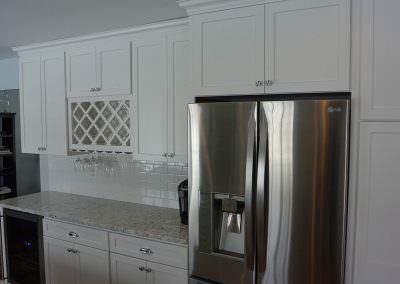 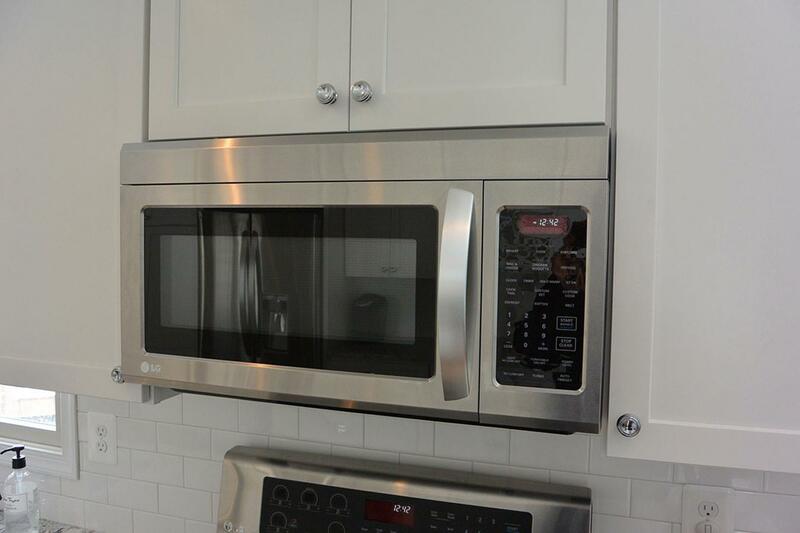 A designated beverage area incorporates a built in wine rack, stemware storage, and an undercounter beverage refrigerator, ideally situated for entertaining.